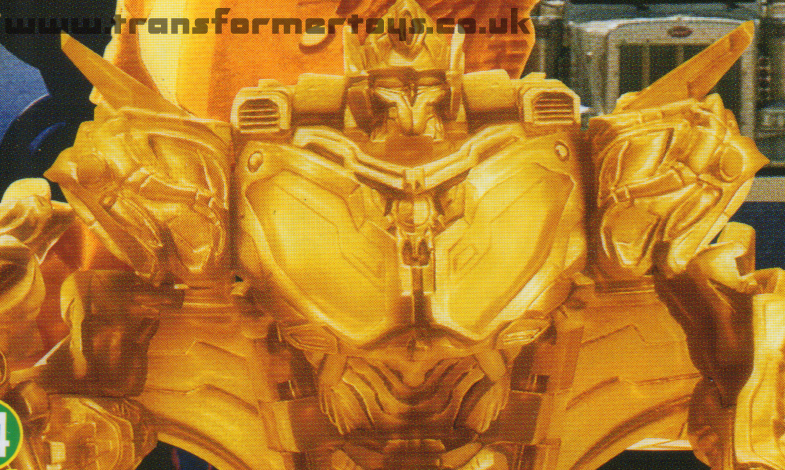 Welcome to the toy review, image gallery and information page for Movie Japanese Gold Protoform Optimus Prime . Along with images of Gold Protoform Optimus Prime you can also find information about this Transformers figure including and subgroups and alternative names. On the left hand navigational menu you can find a list of all of the toys that use the same mold, all of the toys that aer based on the same character as this figure, as well as a list of the latest Transformers toy gallery that have been added to this website. Below this introductory paragraph, you will find some tabs that, when clicked, will replace this area. You can use them to view the various profiles that have been associated with this toy, the TechSpec of the figure, a list of tags that were associated to the toy image gallery as well as a tab dedicated to all of the toys that are associated with this one. That tab will allow you to jump between "linked" toys. 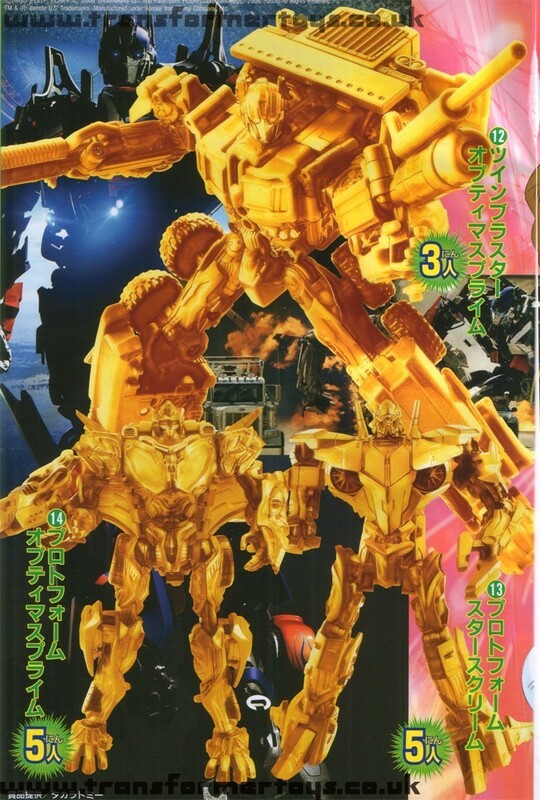 The following tags have been associated with this Movie Japanese Gold Protoform Optimus Prime gallery. 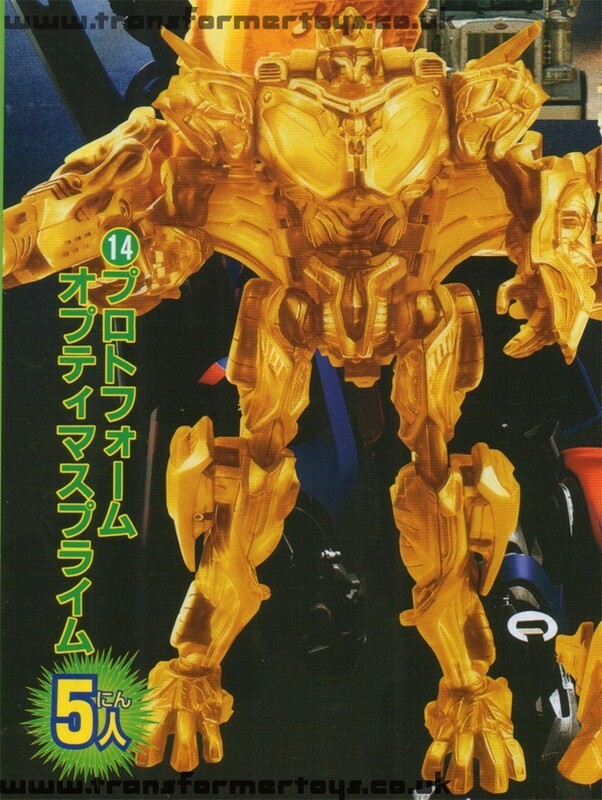 The December 2007 issue of the Japanese magazine called TV Magazine featured a large giveaway of gold chrome/plastic campaign toys, often referred to as Lucky Draw toys. This draw included three Transformers Movie toys, Voyager Optimus Prime, Protoform Optimus Prime and Protoform Starscream. The protoform Optimus Prime figure was limited to 5 pieces making it one of the rarest lucky draw items. This gallery, created on the 7th June 2008 was the first time, that we know off, that the figure was shown on the Internet, having previously been reported. Page Rendering Time: 0.5221 seconds.